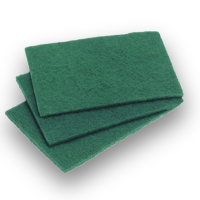 A range of colour coded nylon scouring pads, sponge backed scouring pads and galvanized steel, copper or stainless steel pan scourers. Contract Scouring Pads are a fibre scourer that are ideal for removing..
A pack of general purpose catering grade scouring pads in non-marking ..
A pack of general purpose catering grade scouring pads colour coded bl..
A pack of general purpose catering grade scouring pads colour coded re..
A pack of general purpose catering grade scouring pads colour coded ye.. 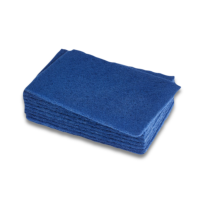 These scourers are shaped with a hand grip to allow optimum comfort fo.. 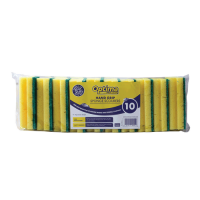 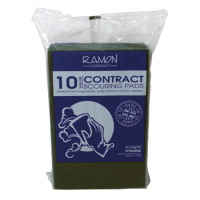 The Ramon range of scouring pads are not only great for removing stubb.. 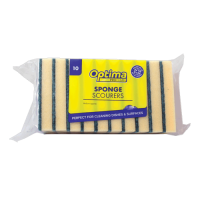 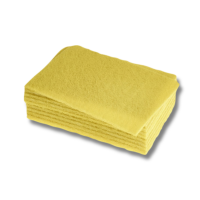 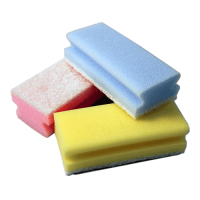 The sponge scourers are shaped with hand grip to allow optimum comfort.. 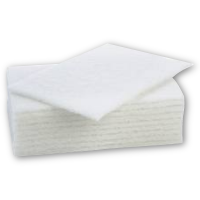 When absorbency is required in addition to the occasional requirement ..